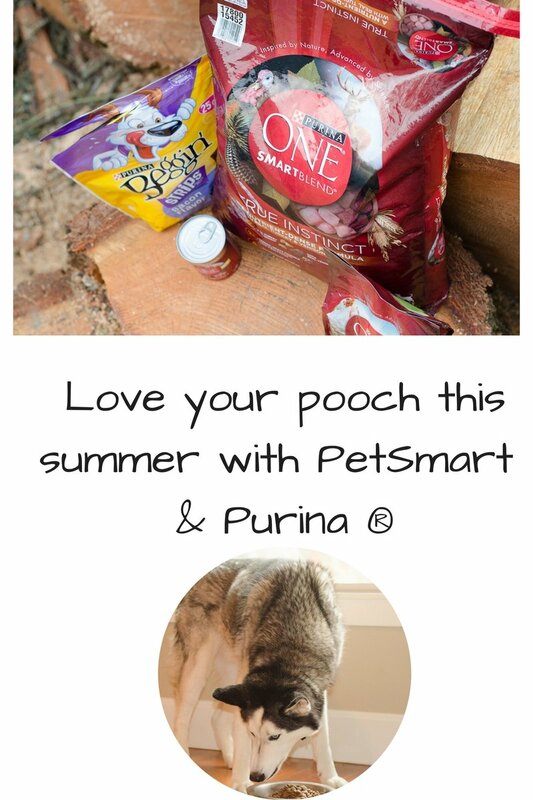 Love your pooch well this summer with Purina® mysteries at PetSmart! Dogs are so grace giving, aren’t they? Our dog has been the sweetest, most loyal, and best friend to our kids during this transitional phase of moving. He moved across the country like a champ, and takes amazing care of us. I realized that while I had been striving to create a home that brings so much joy to the human members of our family, I forgot about my loyal companion. Then, I noticed that while I was crafting gorgeous summer schedules and bucket list for my children, I failed to plan anything special for our sweet dog! So, if anyone else is trying to do some special things for their favorite pooch/es. I have some inspiration to share! Take advantage of a great deal at PetSmart! Right now, when you spend $40.00 on Purina® products, you’ll get a 10.00 gift card. Right now between 6/1-6/30 you can secure this deal for every 40.00 you spend. You simply shop for your favorite Purina® products and submit your receipt here. We took a mom and son scavenger hunt to get our dog some goodies: I knew I wanted to get our doggie some Purina ONE® products, and our dog’s favorite puppy treat: Purina® Beggin’strips! You’ll notice from these photos, we didn’t get a photo before the bag of strips was opened! Craft a special space for your favorite dog! I’ve been trying to incorporate this adorable suitcase into our house for weeks. I finally realized it would be fun to use it to hold our dog’s food in the dining room. Everyone can see it, but we can use it practically. I printed a photo of our dog, Rockne, and sit on top of the suitcase! Just take some simple supplies and create a glamorous feeding area for your dog! 3. Get outdoors! This one seems like a no brainer, right? Like, of course we need to get the dog outside. I’m talking about the fun things you get to do with your dog only in the summer months! Hiking, splash pad trips, dog days at the pool. Our dog loves when I turn the garden hose into sprinkler mode and just let him splash! I also have it on my radar to let the boys make a doggie toy ice block, so Rockne can lick it until it melts and releases his toys. What is your favorite thing to do with your dog during the summer months? Visiting Oregon With Kids & Why You Absolutely Have To. Easy peasy chicken salad recipe! We also use Purina for our little dogs – its their fav food brand (does that sound funny? lol) Your dog is so beautiful!! Your dog is absolutely beautiful! I need to check out this blend of food for mine! Do you have the sweetest pup! Omg your dog is so pretty! Your dog is beautiful! I miss having a pup in our house so bad!